It’s not been all work and no play this past couple of weeks . I’ve been travelling to the UK. While there I have managed to take a few shots and some of them may turn up here over time. Meet Paul Henry Kiltmaker, and all round good fellow. 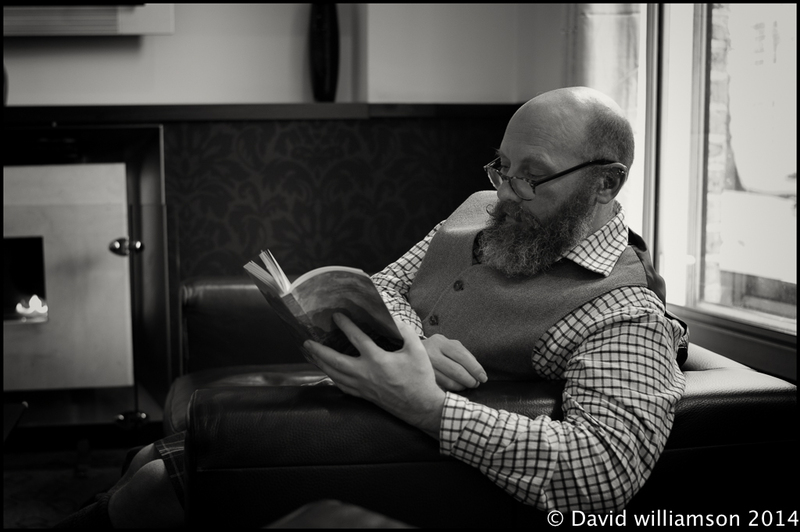 Here I caught him reading just before we set off for a walking tour of York in the UK. Lens :Summilux 35mm f1.4 asph.